I love this project for fourth grade. It is a very common project. 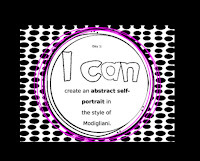 You can find multiple blogs about it if you Google "Modigliani for kids." 1. It always turns out to be visually appealing. I've yet to have a child be unsuccessful with this project. 2. 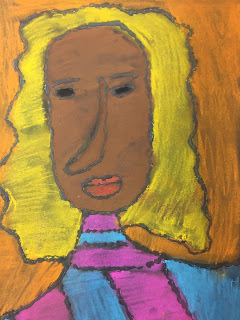 It give the students opportunities to analyze works of art and find similarities/differences in an artist's body of work. 3. Students think Modigliani's people are cool because they are a little distorted. 4. 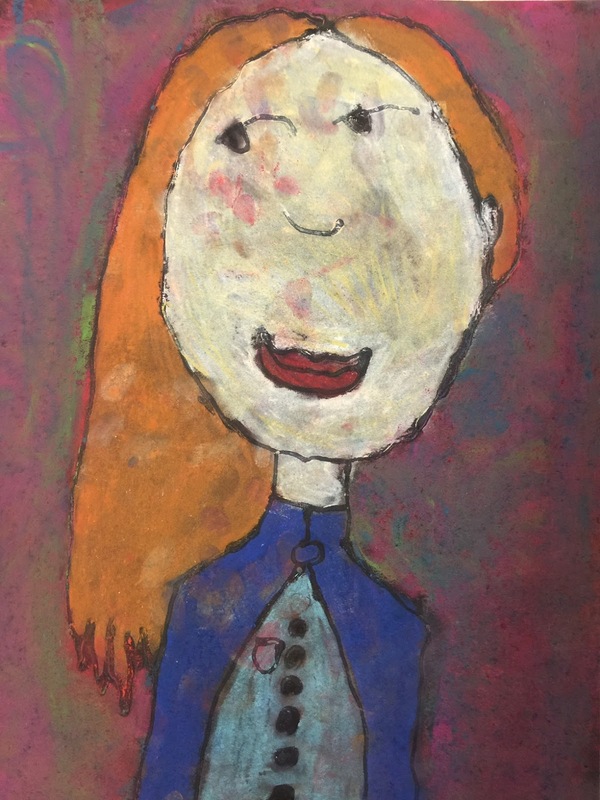 It gives students the opportunity to make decisions about their own work, which they love to do and helps them take ownership of their learning. This past year, I had one art student who began to exhibit some behaviors of concern at school. We met with his parents and were working to help the student. He loved this project. 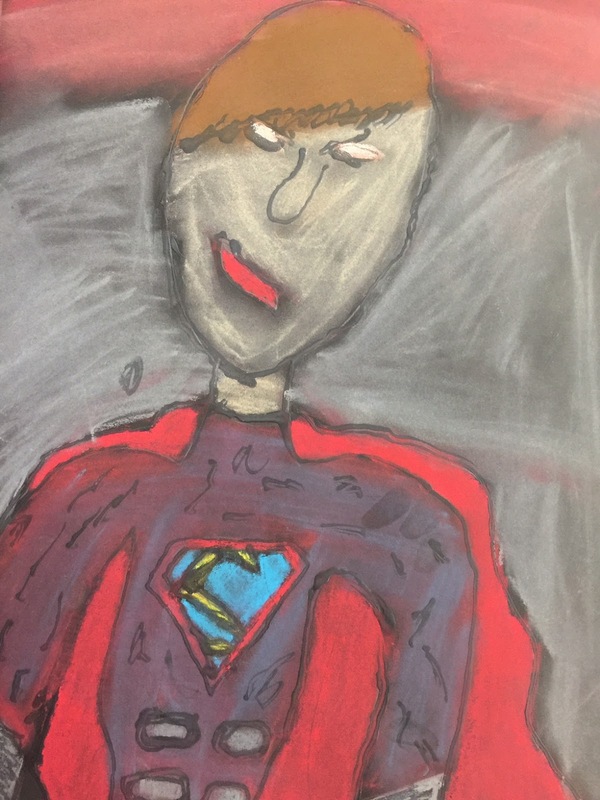 I couldn't believe the way it transformed him in my classroom. He was able to become invested in the project because of the choices he was allowed to make. 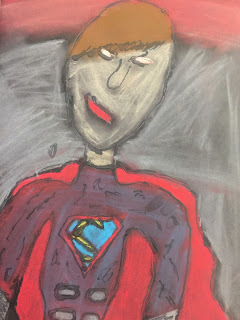 I gave the students the choice of who they would portray in their work. 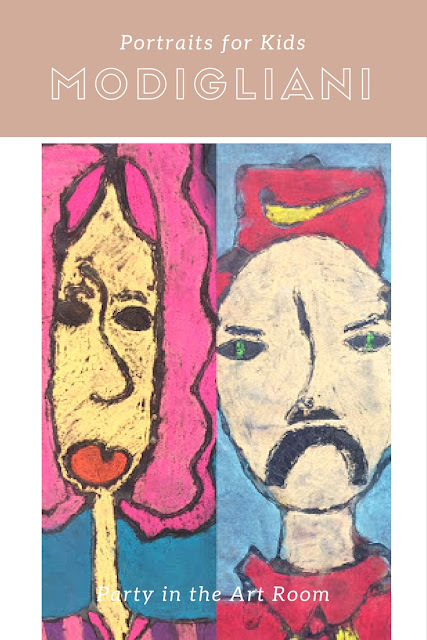 They could do current self-portraits, future self-portraits, portraits of someone they admired, portraits of a family member, future portraits of a family member. Basically, they had a lot of freedom with this decision. This particular students's portrait was of himself as an adult. He was really into hip hop imagery. He drew a puffer vest with a Nike logo on it. He drew a Chicago Bulls cap on his portrait. He even wrote his nickname in graffiti-style in the background. I helped him look at some graffiti lettering and figure out how to make the chalk pastels resemble spray paint. It turned out to be an amazing work to view. He did an exquisite job! I had hoped he would let me use his piece in some exhibits around town, but he was so excited to take it home. For him, it was more important to take it home and hang it in his room than to hang it somewhere else. I barely even got a picture of it before he took it home. In fact, the only pic that I do have is of him holding it and smiling. I'll not share that pic here for his privacy's sake. I hope you can just imagine this student holding his work and smiling with pride. His concerning behaviors disappeared during this project. I share this story with a few tears in my eyes. That's how meaningful this project was and how much I love using it with my students. I want to reiterate that for this project to be truly meaningful for students, there has to be some deep analysis and creative decision-making involved. 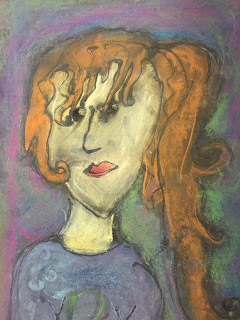 I do not believe in carbon copy art projects for students. 1. 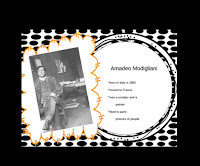 Students spend time viewing Modigliani's work and analyzing it for similarities and differences. 2. Students talk about how they can create their piece. They make predictions and discuss the artistic process. 3. Students practice. I have them spend time drawing thumbnail images to develop their ideas and craftsmanship. They choose the best thumbnail or the best parts of all of the thumbnails. When they actually begin the piece, they have made some crucial decisions already. This prevents them from making as many mistakes. If they have already made the important decisions before they begin (hairstyles, colors, clothes, etc. ), they will be more likely to be satisfied with their work and be successful. Here's the link to TpT again. Have you taught this lesson? I'd love to hear your experiences!